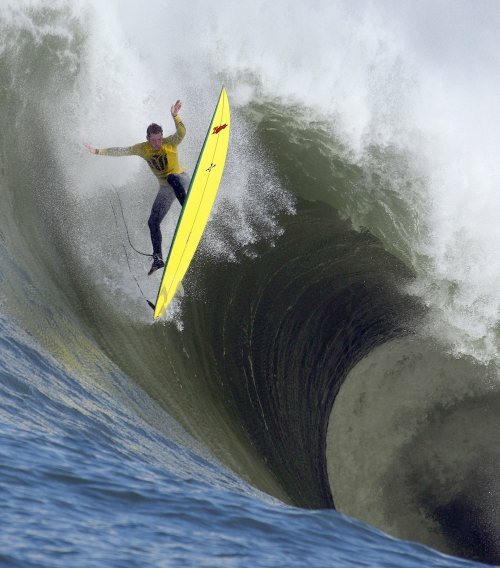 In this Feb. 13, 2010 file photo, Ion Banner loses control on a giant wave during the first heat of the Mavericks surfing contest in Half Moon Bay, Calif. The cold water and stories high surf at the big, treacherous surf break called Mavericks in Northern California have made it a Mt. Everest-like conquest for some surfers. And like Everest, Mavericks has claimed its share of lives: whether it be legendary big wave watermen or less experienced surfers seeking to make a name for themselves. And more keep coming.